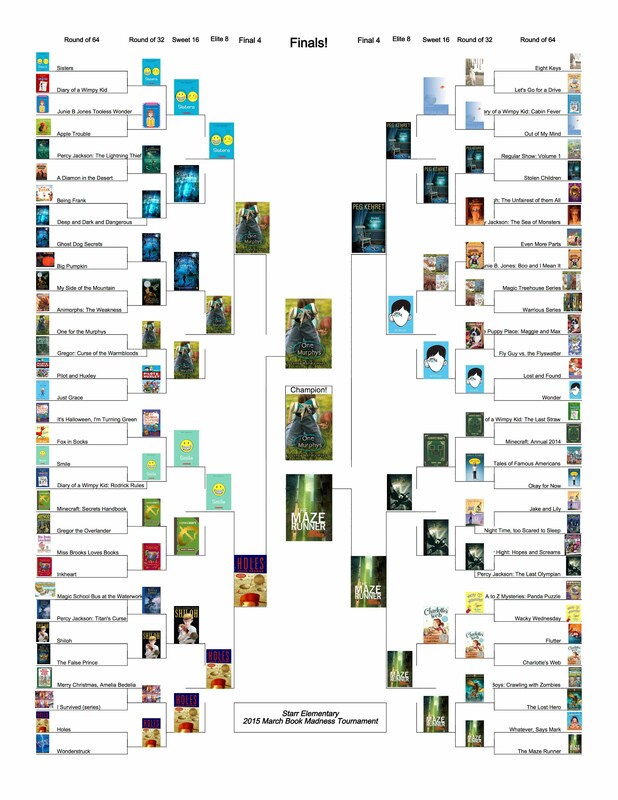 In the spring of 2015, 9 classrooms at Starr Elementary School participated in March Book Madness! Each day we voted for our favorite books. The Bracket was updated after each round was completed. The final bracket is shown below. Congrats to One for the Murphys for winning.